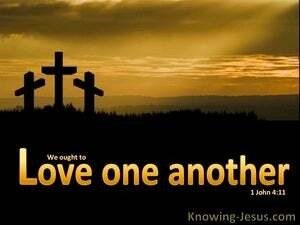 ﻿ 1 John 4:11 Beloved, if God so loved us, we also ought to love one another. Dear friends, if this is the way God loved us, we must also love one another. Beloved, if God so loved us, we also are obligated to love each other. Loved ones, if God loved us that much, we should also love one another. My loved ones, if God had such love for us, it is right for us to have love for one another. Beloved, if God so loved us, we, also, ought to love one another. Beloved, if God so loved us with divine love, we ought also to love one another with divine love. 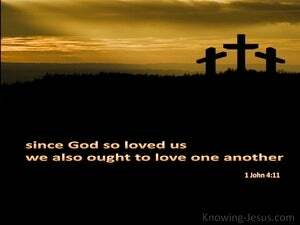 Dear friends, if God has loved us so, we ought to love one another. Dearly beloved, if God so loved us, we ought also to love one another. Dear friends, if God loved us in this way, we also ought to love one another. Dearly beloved, if God so loved us, then we ought also to love one another. Beloved, if God had such love for us, we ought to love one another. If God so loved us, beloved, we also ought to love one another. Dear friends, if God so loved us, then we also ought to love one another. Beloved, if God loved us in this way, we also ought to love one another. Beloved! If, in this way, God, loved us, we also, ought to love, one another. Dear friends, since God loved us thus, we, surely, ought to love one another. Dear friends, if God has so loved us, we also ought to love one another. 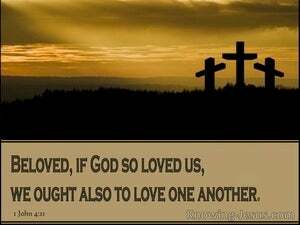 Dearly beloved, if God has loved us so, we ought to love one another too. 10 In this is love, not that we loved God, but that He loved us and sent His Son to be the propitiation for our sins. 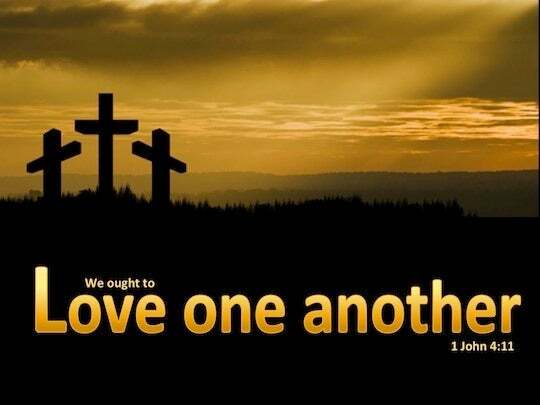 11 Beloved, if God so loved us, we also ought to love one another. 12 No one has seen God at any time; if we love one another, God abides in us, and His love is perfected in us. "Then summoning him, his lord said to him, 'You wicked slave, I forgave you all that debt because you pleaded with me.